In your Dashboard, go to Appearance → Menus. 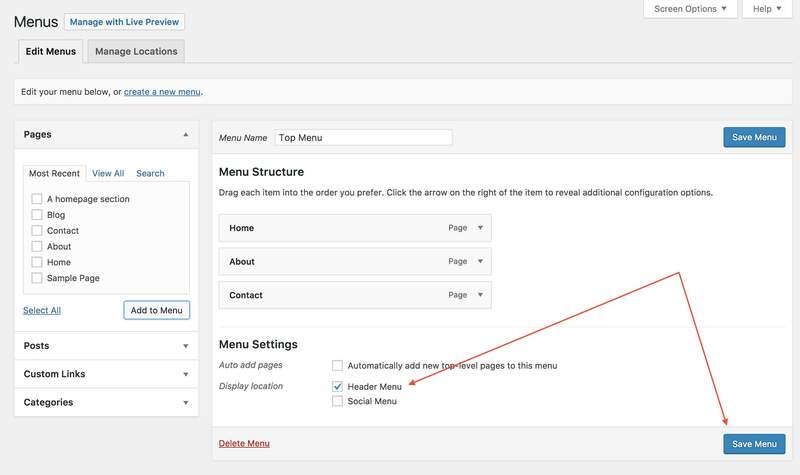 Give your menu a name, and then click the Create Menu button. After the menu is created, you can add menu items to it on the left side of the Menus screen. Simply select a menu item that you want to have in your menu, and click Add to Menu. By default you will see Pages, Links, and Categories in the left column. However, if you want to add Posts or Tags to your menu, you can display these items by clicking on the Screen Options in the top right corner of the screen. When you have your menu items arranged in order, select a menu location (if needed) and click Save Menu.